Jon von Tetzchner, co-founder of the Vivaldi web browser, has accused Google of using its position as the most popular search engine in the world to bully its competitors. The accusation comes in a blog post on the Vivaldi website, where von Tetzchner recounts his history of working alongside Google. While the two companies are rivals, the Vivaldi browser is built on Chromium, an open source project led by Google, and von Tetzchner’s early experiences of Google were positive. It’s alleged by von Tetzchner that Google’s behaviour further worsened when it built its own web browser, Chrome. But now something else has happened that has caused von Tetzchner to speak out. According to von Tetzchner, Vivaldi’s AdWords campaigns were suspended without warning by Google, the second time this has happened. With the AdWords service, Google has become the largest online advertising company in the world, so being suspended from using it can have big repercussions. 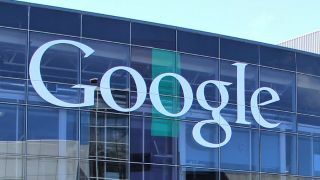 After working with Google, Vivaldi’s AdWords account was reinstated, but it has left von Tetzchner calling for regulation of Google due to its position as a monopoly in both search and advertising. We’ve reached out to Google for a comment on these allegations and will update the story when we hear back.